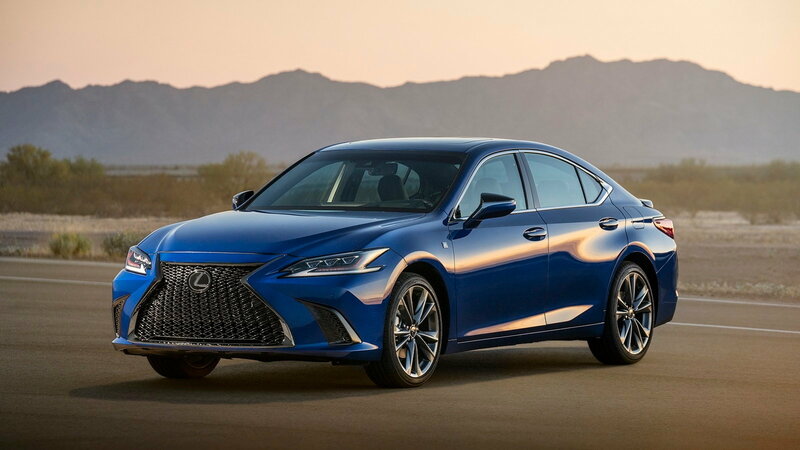 Want to know if the new Lexus ES is right for you? Check out what our Forum members have to say. I reviewed one with the 45-series tires, and was not impressed with the ride-comfort or noise-isolation level...IMO significantly less comfortable then previous versions. However, the base model, with 55-series tires, may (?) be an improvement on both fronts. 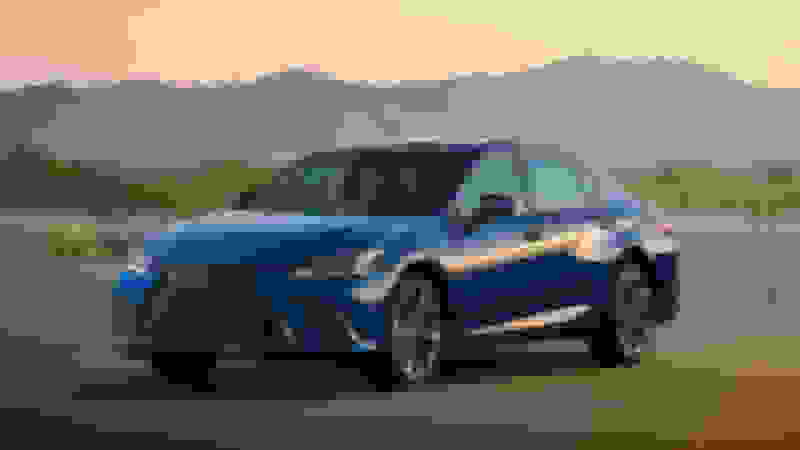 I also reviewed a new Avalon XLE (a sedan on the same platform) with the taller 55-series tires, and did find the ride and noise levels acceptable for my tastes....so perhaps (?) that would also be the case with the 55-series ES350. The body structure, sheet metal, and especially the door-solidness on opening/closing, seemed better on the new 2019 than the previous version, which basically had a tin-can-feel. Didn't like the new dash or interior, though......especially the dual rotary-***** that stick out of the upper-dash, sideways, above the steering wheel. Last edited by mmarshall; 01-07-19 at 02:08 PM. One thing not included here is that I have seen lots of complaints about the Mark Levinson system in the new ES being too front biased. Otherwise it seems like people are pretty happy with them. It’s a pretty solid car in my opinion. I don’t care for the steering wheel controls or the ***** for the drive modes though. There's a similar thread over on the 7th Gen forum. Thought you'd just like to know. Just helped a friend of mine buy a CPO 2016 ES350. We drove several 2016s, 2019 ESs and a 2019 Avalon back to back. The new Avalon was an XLE model with the 55 inch tires and the ride was excellent. The new ES rides slightly better than the old ES, the structure is notably stiffer which is a good thing. Overall though, very similar and I have to say I prefer the 2016-2018 ES styling inside and out, although tech and materials are better in the 2019 ES. Drove both the 2016 and the 2019 on both the 17s and 18s and while there is a slight difference in impact harshness with the larger tires, its not bad at all and if you weren't comparing them back to back it wouldn't bother you. His 2016 is a UL model with the 18" wheels and 45 series tires and it rides very, very nice. Roughly what was the $ diff between the cpo ‘16 and the ‘19? Just read that the remote start turns off the engine when you open the door. This makes zero sense to me. It can’t be security related because the key is then in proximity to the car. Is there a Lexus/Toyota that doesn't? The 2016 was $30,500 with 28k miles. A comparable 2019 is about $50k. Could be bought for $45k or so. So, $14,500 cheaper. All Toyota/Lexus remote starts work that way. Totally stupid. I think all Toyota and Lexus models work this way - I was surprised the first time my IS shut itself off when I opened the door. So, I agree with bitkahuna that it's still a problem. All modern Lexus work like this. It doesn’t matter if you do it from the Enform app or the key fob either. It is pretty stupid. They claim it’s for safety but we get tons of complaints about it at my dealership. From what my customers tell me their Lexus’ are the only cars they’ve had that shut off when you open the door. Any vehicle that is running, but stopped with the driver not in the vehicle -- including remotely-started vehicles -- runs a greater risk of convenience theft. If somebody sees a running vehicle with no driver, all they have to do is get inside and drive off. But if the remotely-started vehicle shuts off when the door is opened, forcing the driver to restart with the key or keyfob in the vehicle, that reduces the risk of theft. Except that other systems require the key inside and the start button pressed again before they will shift out of gear and run. Literally everybody else has this figured out but Toyota. There are other ways to prevent that. In Nissans, for example, you can remote start it and it stays running even after you unlock and open the doors. 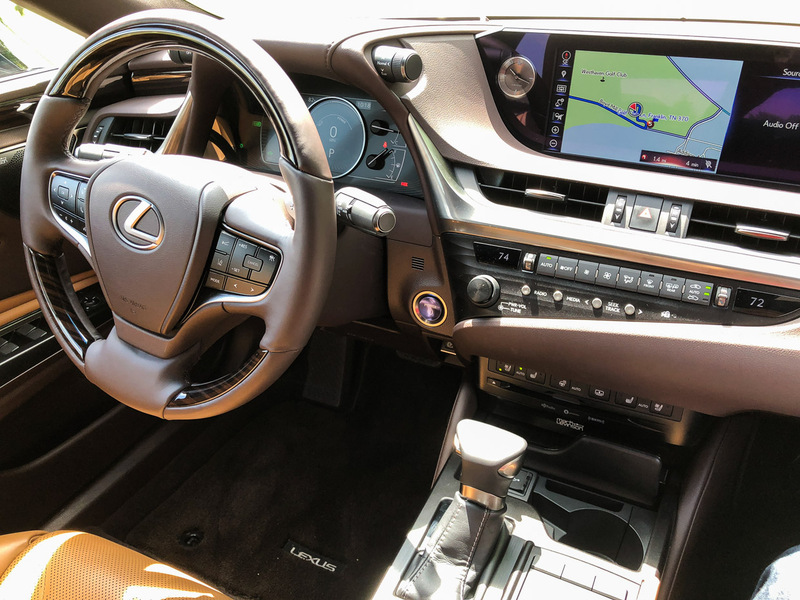 The car will not let you take it out of park unless you put the foot on the brake, have the car recognize the key, then push the engine start button again. It's no fewer steps than in Lexus, but at least it doesn't shut down and have to restart in the process.